Amazon.com description: Product Description: This pioneering work demystifies the drivers behind political, economic, and social change. Shaped by his twenty-five years traveling the world and enlivened by encounters with tycoons, presidents, and villagers from Rio to Beijing, Ruchir Sharma'sÃÂ The Rise and Fall of NationsÃÂ rethinks the ''dismal science'' of economics as a practical art. Narrowing the thousands of factors that can shape a country's fortunes to ten clear rules, Sharma explains how to spot political, economic, and social changes in real time. He shows how to read political headlines, black markets, the price of onions, and billionaire rankings as signals of booms, busts, and protests. 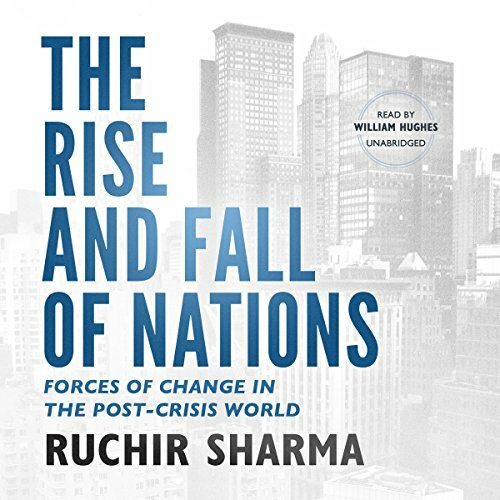 Set in a post-crisis age that has turned the world upside down replacing fast growth with low growth and political calm with revolt, Sharma's pioneering book is an entertaining field guide to understanding change in this era or any era.